At last after weeks of designing, sampling and stitching we are finally ready to announce some of our new kits. 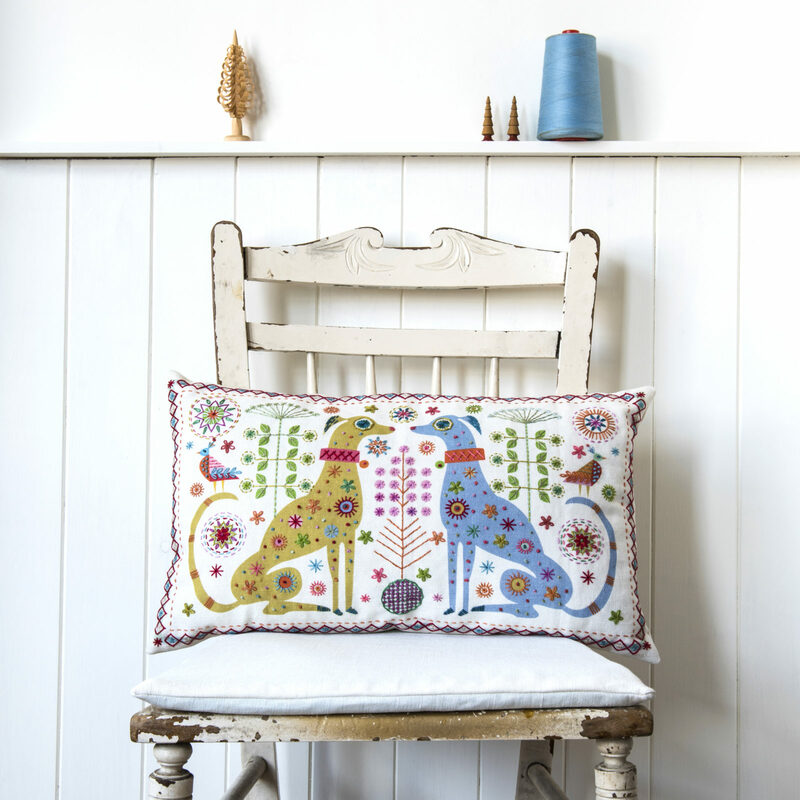 Our Dogs cushion is really in reply to all my customers who have been asking me to design something for dog lovers, and this design has been mulling around for some time, and I hope you like them, two elegant medieval and folk style dogs having a face off over a ball! And of course there has to be two birds in the mix too. 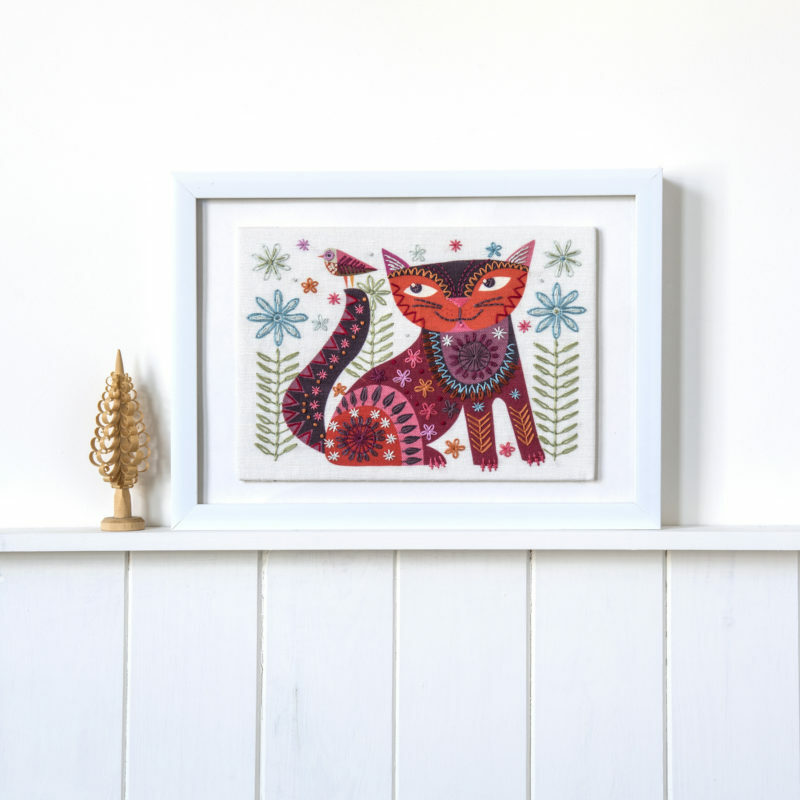 Also the two new cat designs are friends from our tin range, made into embroidery kits for you to make up the family, call them cheeky cousins of the first cat design I did when I started which is still our most popular kit. And finally one for those who crave a proper project. 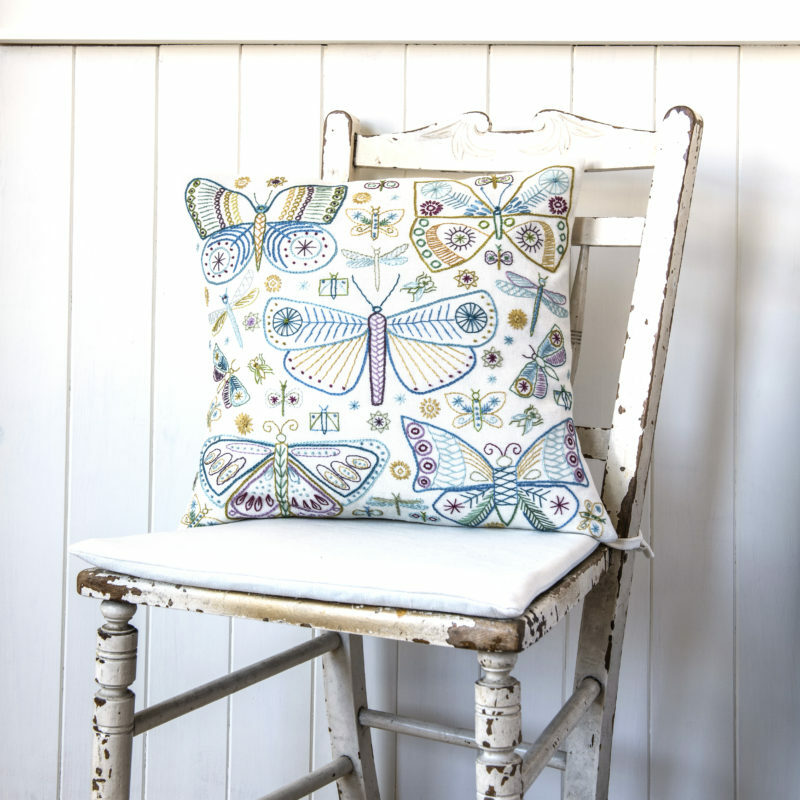 Butterflies is quite simple to work but takes a little more dedication and can be embroidered in any of the colours included of your choice. 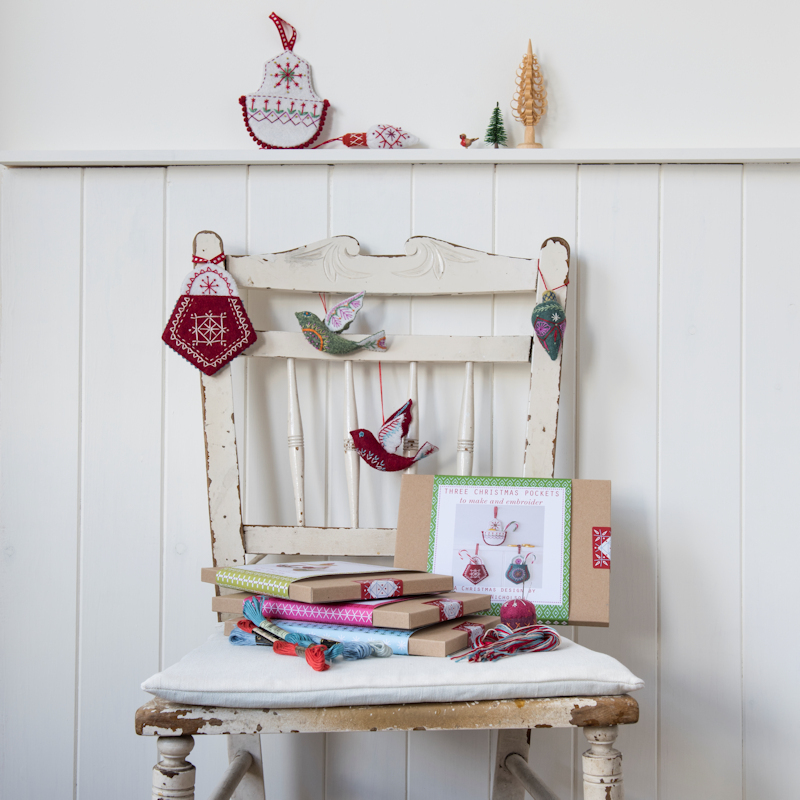 On the way are some box kits of our download designs, and here are some images to remind you. 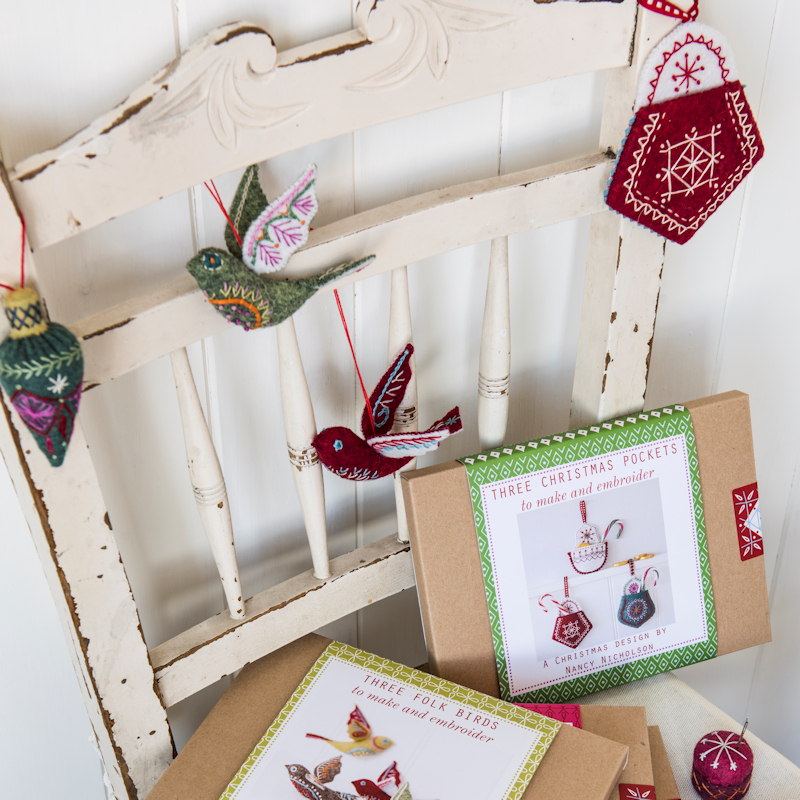 They come with everything you need (except the stuffing) to make three decorations (in each box) Folk Birds, Flat Baubles, Cone Baubles, and Christmas pockets. Available online next week. 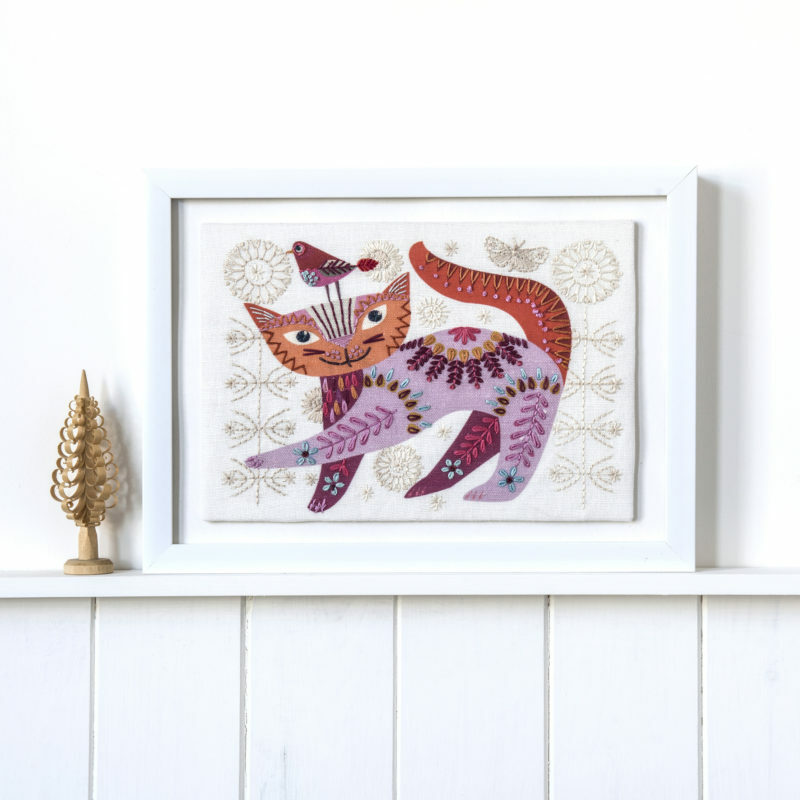 This entry was posted in Blog and tagged cats, cushions, dogs, Embroidery, embroidery designs, hand embroidery, lifestyle, new kits.